I have had exactly two pregnancies, and I have exactly two children who are four and one-and-a-half years old. I’ve never experienced a miscarriage or the loss of a child. I am one of the fortunate ones. My cousin, Jason, and his tiara-deserving wife, Amanda, have five children. All boys. Yes, FIVE adorable, jubilant, loving boys. Can you imagine? I only have two boys, and the levels of noise, dirt, fart jokes, bug-fascination, and truck-obsession can be too much for me sometimes. I can’t imagine 60% more boys in my house. I’m sure it’s fun, hilarious, rewarding… and exhausting. They are an amazing family. A couple weeks ago, the unimaginable happened. Jason and Amanda lost their youngest son, Baby Drew, to cancer. When he was not quite a year old, Drew was diagnosed with Clear Cell Sarcoma of the Kidney. For the last year and a half, Drew fought hard. The family thought he beat cancer, realized he hadn’t, thought he beat it again… over and over. Until Drew’s little body stopped responding to the chemo. Until there was nothing left to do but pray over their two-year-old baby as his beautiful soul went on to a better place. What I can’t imagine is how life goes on after your child dies. After comforting and caring for a sick baby for so long, what does the new normal look like when he’s gone? I can’t imagine having to prepare your other small children for their sibling’s death. Drew’s four older brothers loved him so much and even shaved their heads when Drew’s hair fell out. I can’t imagine then having to explain his death to your surviving children. When your heart couldn’t possibly break anymore, how can you bear to watch your children grieve? Because of all of these unimaginable heartaches, we desire to help families who have suffered a loss, but we don’t always know how. Baby Drew’s family lives in another state, so I couldn’t go help them. I thought about getting them a laundry or meal service, but many parents find comfort in the familiar and much-needed distraction in the everyday tasks of caring for their family. So I decided to contribute to their Go Fund Me campaign. As Jason and Amanda grieve the loss of Baby Drew and attempt to adjust to life without him, they also have to deal with the medical debt not covered by their insurance. It just doesn’t seem right. Since Drew’s diagnosis, I’ve been inspired to support childhood cancer research. With “give” being my theme word this year, I started looking into various charities. So in addition to giving to Baby Drew’s Go Fund Me campaign, my family will support St. Jude Children’s Hospital,** even if we can only afford a small contribution. I was also thinking about volunteering in the pediatric oncology ward at Lucile Packard at Stanford. Maybe I can read to or play with the children there. And if Quinn is old enough, maybe I can take him with me. As Reid, my twenty-month-old son, fell asleep on my shoulder in the rocking chair tonight, I breathed him in and cried for Baby Drew. If your heart feels heavy too, please give your kiddos an extra big snuggle today and consider supporting childhood cancer as well. *My Hubs’ company did not sponsor this post, nor am I trying to sell you any of their products. Unless you have a cool half-mill lying around and you want to dabble in cancer research because you’re that rich and that bored, then by all means, go bananas. **This post is also not sponsored by St. Jude Children’s Hospital or Stanford Hospital or any charitable organization. I’m simply inspired to give and hope that you are as well. Hug. You have such a kind heart. So sorry for your cousin's loss. Thank you, Katrina. Hugs back atcha. My heart breaks for your cousin. I can't image the pain they are going through. 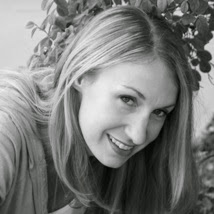 I have a friend who has a 20-year old daughter who survived childhood cancer. She waas 18 months old and the cancer was stage 4, she was not expected to survive but she beat the odds. My friend continues to support Children's Hospital of Philadelphia (CHOP) and I've joined her efforts. My co-workers recently made blankets for children on the oncology unit, just in an effort to make their lives better. So glad that you and your family are supporting worthy causes. 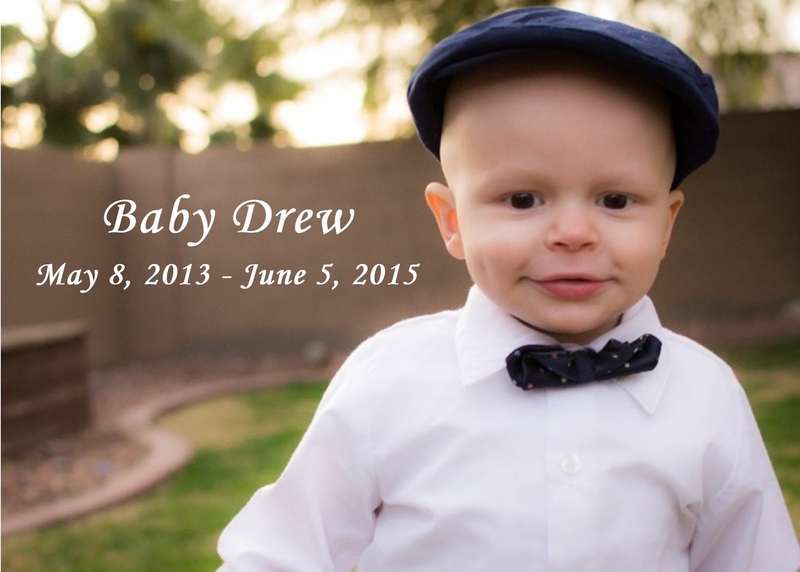 Hopefully research will find a cure, so we'll no longer need to grieve sweet little boys like Drew.